Ford's Matt VanDyke tells publishers: "Do something different with my ad to stop readers from turning the page." 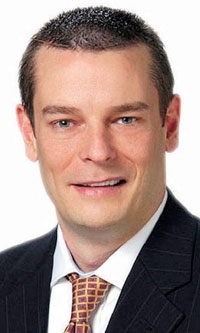 As U.S. director of marketing communications for Ford, Lincoln and Mercury, Matt VanDyke is positioning the divisions in a number of advertising avenues, including digital, experiential and direct marketing. VanDyke recently spoke with Special Correspondent Jean Halliday about Ford Motor Co.'s marketing communications strategy and near-term objectives. What are you doing differently in magazines this year vs. what you did in 2009? Overall, with each launch we challenge the publications for different ideas to go about it in different ways. Part of it is to find ways to either get me from print to online or experiential or do something different with my ad to stop readers from turning the page. We're hearing that magazines are more flexible on ad rates. Is that true? Like everybody, it was very obvious that in the second half of 2008 and through 2009 that there was some price resetting going on in the media industry. It continues to be very competitive. There are groups that never went off rate cards but did in the last 18 months, and now they are trying to go back. A lot of audiences on the magazine side have stabilized. They are trying to bundle different things, like how to sell iPad applications. It's great the iPad is here, but in the last 100 days, advertisers are being asked to take a leap of faith. I'm not going to spend $100,000 for an app without them telling me the interaction rate and the interaction rate with my ad. You wouldn't buy a Web site without knowing click-throughs. Are you shifting magazine ad dollars to social media? We're not necessarily doing that. It's hard to classify from one category to another. We don't say that we'll put 5 percent into social media. It's a component of the whole media plan. My total print budget could be up or down by 10 percent next year, but it depends on the ideas the [publishing] groups come forward with. Which of your vehicles work best with magazine advertising? Some models work best in magazines, like our F-150 and our trucks in general. We really have great targeting with magazines in the categories of hunting, fishing and outdoors. But what do you do for a mid-size sedan? Should I go into sports, epicurean or women's magazines? You can kind of go anywhere with it. How well is the magazine community defending its turf in terms of research on reach and delivery for advertisers? The industry trade groups for print magazines are on occasion competing with one arm tied behind their backs against digital and mobile. Online content providers are very willing to work with you, asking, "Where do you want your content?" So it's easy for them to increase their share of the business. What are you doing that's unusual in magazine advertising? Are you planning magazine ads similar to the ones you're doing in The New York Times, with bar codes that take readers to mobile information about the new Edge crossover? At this point, Ford has no plans to take that to magazines. We are going to do this for 100 days with different products. We are really testing it and learning the space.